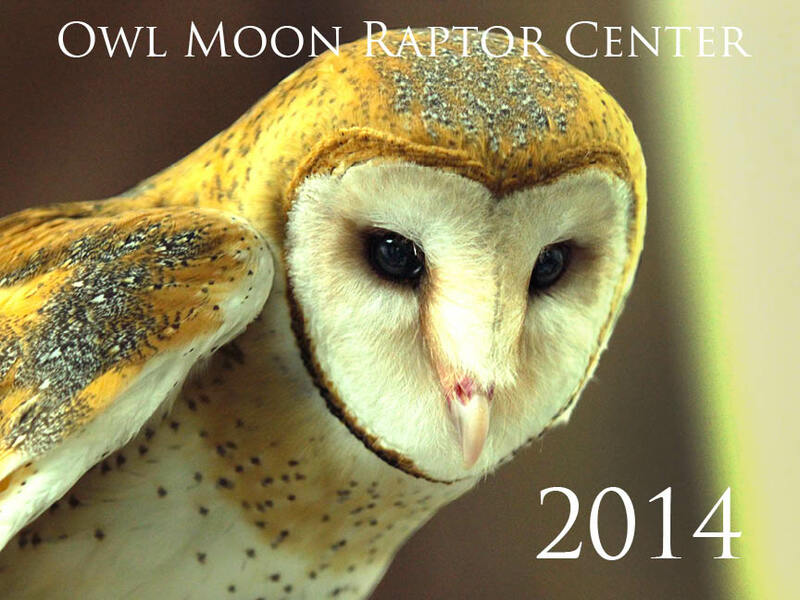 I am proud to present the third annual Owl Moon Raptor Center calendar! This year’s calendar features striking images and endearing stories of some of Owl Moon’s most charismatic patients of 2013, including a Northern Saw-whet Owl, an immature Bald Eagle, a juvenile Broad-winged Hawk, and a Common Barn Owl. 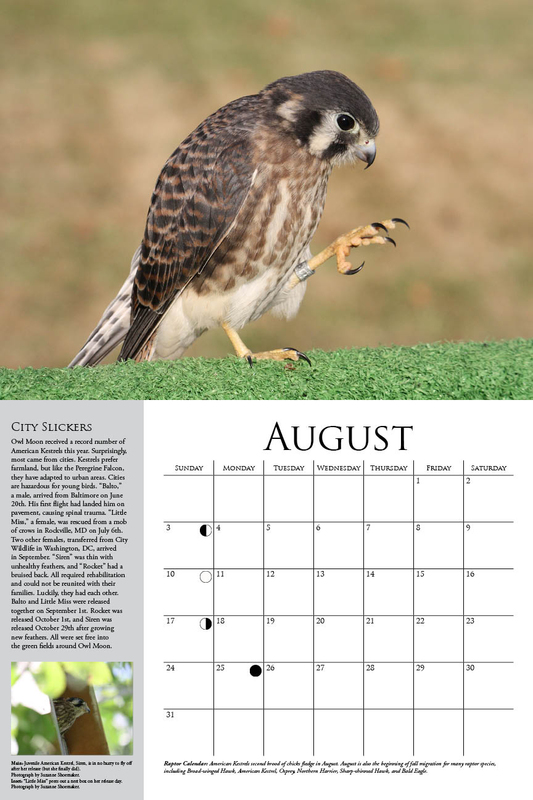 As in previous years, it also includes an informative Raptor Calendar with important nesting and migration dates for birds of prey in our Mid-Atlantic region. The Owl Moon calendar makes a great gift for nature-lovers! All proceeds directly support the care of orphaned and injured birds of prey. The Owl Moon 2014 calendar is available with donations of $25 or more while supplies last. Contributors of $100 dollars or more will receive five calendars. Donate today and get your calendar in time for the holidays!